This Actually Took a Study? The BBC News reported on a British-Austrian study whose goal was to determine whether a mature cloned human being would consider himself to be an “individual.” What did the researchers conclude? They concluded that a cloned human being would consider himself to be an individual. Wow! It’s a good thing we did this study! I mean, who would have guessed it!?!?! How did they come to this amazing conclusion, you ask? They interviewed identical twins (a.k.a. natural clones) to see how they perceived their individuality given the fact that they are genetically identical to their sibling. To everyone’s utter amazement they discovered that twins see themselves as two different individuals! (I thought they wore the same clothes because they thought they were the same person…silly me!) Since clones are little more than “delayed twins” it stands to reason that clones would see themselves as individuals as well. Was this study really necessary? Did we need a study to know the answer to this question? Were the personal interviews really required? Does anyone doubt that twins see themselves as individual persons, and function as individual persons? I am being a little sarcastic here, but this study deserves the ridicule. I find it troubling on a couple of levels. First, it demonstrates how study-happy we are. Dennis Prager often remarks that “studies say” is the liberals’ equivalent to religious conservatives’ “the Bible says.” It is the secular Bible if you will. He also notes how our culture (particularly the college educated) puts more faith in studies than common sense. For example, studies apparently show that a mom and dad are not necessary for optimal child development, and yet this contradicts common sense. While studies are valuable in many areas, they are not always needed before drawing conclusions. This is one of those areas. Our common experience and knowledge is enough to answer the question at hand. We no more needed this study to determine whether cloned human beings would consider themselves individuals than we need a study to determine if human beings enjoy pleasure. I don’t need to interview 1000 people to know they do. It is common sense. Second, I have a hunch that these researchers knew exactly what they would “find” before they engaged in this study. The reason for the study was not to discover the answer to the question, but to provide a scientific basis (“studies say…”) and authority for alleviating people’s fear of cloning human beings. In other words, the study was intended for political, rather than research purposes. Geneticist Robin Lovell-Badge, of the Medical Research Council’s National Institute for Medical Research in London, made some comments that seem supportive of my hypothesis. He said, “Human reproductive cloning is not safe and should not be attempted with current knowledge. In my opinion, there are no strong reasons for even attempting it. But this interesting study…, although small, reveals how we should not have any prejudiced feelings about the idea of genetically identical individuals living amongst us.” That’s a big “but”! (no pun intended) In other words “we shouldn’t do it at this point in time, but if and when we do it people should not think clones are freaks.” He understands that this study is preparing us to think correctly about what is likely to come in the future. Below you will find several posts evaluating the claims made by advocates of embryonic stem cell research (ESCR). I never cease to be amazed at the blatant misinformation being given to the public in this area. Unfortunately it can’t be blamed on ignorance, because many of those who are supplying it are medical professionals such as William Neaves. These posts will quote the individual, and then offer a biological and logical critique. The proposal to criminalize cell regeneration research calls for a choice between two understandings of human life. On one hand, we have the millions of people who suffer from ALS, Alzheimer’s, juvenile diabetes, Parkinson’s, spinal cord injuries and cancer – and the loved ones who care for them and suffer by their sides. On the other hand, we have tiny bundles of unfertilized cells existing in Petri dishes. Supporters of the legislation should explain to the afflicted and their loved ones why they care more about those cell bundles than they do about the people. As with many in the pro-ESCR camp Danforth claims embryos have no value because they are “tiny.” What does their size have to do with it? Does the fact that we are large bundles of cells make us more valuable? Clearly not! Size is not morally relevant. He is simply wrong to say we have “tiny bundles of unfertilized cells existing in Petri dishes.” They are embryos. Since at this point in time no one has been able to clone a human embryo, the only way embryonic stem cells can exist in a Petri dish is if they were extracted from a fertilized embryo. Even if these embryos were not produced by fertilization because they were cloned, the fact would remain that the product is the same: a human embryo. Either Danforth is biologically ignorant, or purposely deceptive. He is splitting hairs for political purposes. His statement makes as much sense as saying “If you were not delivered in a hospital you were not born.” In the same way that the location of your birth does not determine if you were born, the means by which you came into existence (fertilization, cloning) does not determine your status as a valuable human being. Last but not least, Danforth committed the same error committed by William Neaves, Robert Bailey, and others, when he refers to embryos as a bundle of cells. They are no mere bundle of cells, but a whole human organism actively directing its own growth towards maturation according to its own kind. While Mr. Neaves described the cloning process with great clarity, he failed to mention one very important fact: what the process of SCNT produces. Cloning produces a new human individual. Why leave that fact out? Because it does not fare well for the political agenda of the Stowers Institute. But this is just one casualty among many in his war against biological truth in pursuit of scientific advancement. The rest of his article is filled with many other misrepresentations and scientific distortions. For example he writes, “Other opponents of SCNT express concern that it creates human life only to destroy it for research purposes. In fact, no new life is created by SCNT. It works entirely with the ordinary body cells of an already-living person. It no more creates human life than does growing someone’s skin cells in tissue culture.” In a certain sense he is correct: no new life is created. No new life is ever created. Life is a continuum. It began thousands, if not millions of years ago and has never ceased since. But that is not the sense in which Neaves is claiming “no new life is created.” He wants to assert that no new individual human being has been created by SCNT, but the field of embryology is definitive that it has. If the clone was placed in an environment suitable for continued growth—rather than being killed for its stem cells—it would mature according to its kind, resulting in a bouncing baby boy are girl nine months later. Neaves also makes the mistake of confusing parts with wholes when he compares the “product” of SCNT to culturing skin cells. They are very different. An embryo is a person because it is a unitary whole; a “self-integrating organism capable of directing its own maturation as a member of the human species.”<!–[if !supportFootnotes]–><!–[endif]–> Somatic cells such as skin cells, however, are mere parts of a larger whole, unitary organism. Embryos will actively develop themselves into a mature human being if provided the proper environment to do so, whereas somatic cells can only replicate themselves for the survival of the larger organism to which they belong. Some critics of SCNT ask if the stem cells generated by SCNT are no different than those created by fertilization. They worry that the blastocyst generated by fertilization is indistinguishable from the blastocyst resulting from SCNT. In fact, there is a profound difference between the two. A blastocyst formed after fertilization contains a new and unique combination of genes contributed equally by the sperm of the father and the egg of the mother. A blastocyst resulting from SCNT contains only the same genes of the person who donated the body cell nucleus used in the procedure. The only thing “profound” here is Mr. Neaves ability to duck the objection. 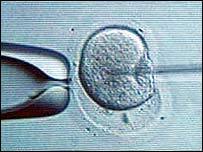 The distinction Neaves makes between a fertilized and cloned embryo is valid, but not morally relevant, and not logically relevant to the objection raised. His opponents are arguing that there is no qualitative difference between a blastocyst produced by fertilization and a blastocyst produced by SCNT. Neaves completely ignores the argument by changing the subject to genetic differences. This shift will not work because the genetic differences between fertilized and cloned embryos are scientifically and morally irrelevant. Let me address each in turn. The genetic differences are scientifically irrelevant because they do not change what the “things” in question are. The only genetic difference between cloned and fertilized embryos is the source of their genes, not the kind or number. Humans produced by fertilization receive their genes from two pre-existing humans, whereas humans produced by cloning receive their genes from one pre-existing human. But the source of the genes is inconsequential to the central question: What is it? Since cloned embryos and fertilized embryos both have a full set of human chromosomes, and they both possess the intrinsic potential to actively develop themselves toward maturation as a whole human being, they are biologically equivalent. To see that a cloned embryo is just as human as a fertilized embryo one need only consider the genetic source of the cloned embryo: a human being. If the “parent’s” cell was fully human, would its clone not be fully human as well? Of course! The genetic differences are morally irrelevant as well. Whether the newly created embryo is a genetic twin of an existing human being, or the creation of a completely unique human being through fertilization, it is irrelevant to their ontological and moral status as human beings. To see this one need only consider the case of identical twins. Of the two siblings, one was fertilized while the other was naturally cloned from its sibling. Would Neaves argue that the cloned sibling is qualitatively different from its fertilized sibling because the latter “contains a new and unique combination of genes contributed equally by the sperm of the father and the egg of the mother” while the former “contains only the same genes” of the newly fertilized embryo? Of course not! So how can he claim there is a “profound difference” between fertilized and cloned embryos in the lab if the only difference between natural cloning (twinning) and artificial cloning (SCNT) is the amount of time separating the creation of the clone from the fertilized embryo. He can’t. His argument is smoke in mirrors. The simple fact of the matter is that having identical genes to someone else does not make you non-human or rob you of your moral value. The “profound difference” Neaves offers is neither profound, nor relevant to the debate. He goes on to say, “SCNT does not entail fertilization of an egg with a sperm. It does not involve conception of a new human life. Instead, it awakens the developmental potential in the genome of cells from a person conceived years ago.” Obviously cloning does not entail fertilization (because this refers to a specific method of producing a human being, and thus SCNT cannot be considered fertilization by definition), but what determines the presence of a human being is not how it came into existence, but rather what it is that came into existence. What comes into existence by fertilization is identical to what comes into existence by cloning. Both cloning and fertilization result in a new, individual human being. It is true that SCNT “awakens the developmental potential in the genome of cells from a person conceived years ago,” but in doing so it begins the creation of a new person. Another objection to SCNT arises from people who fear it will be misused to clone human beings. 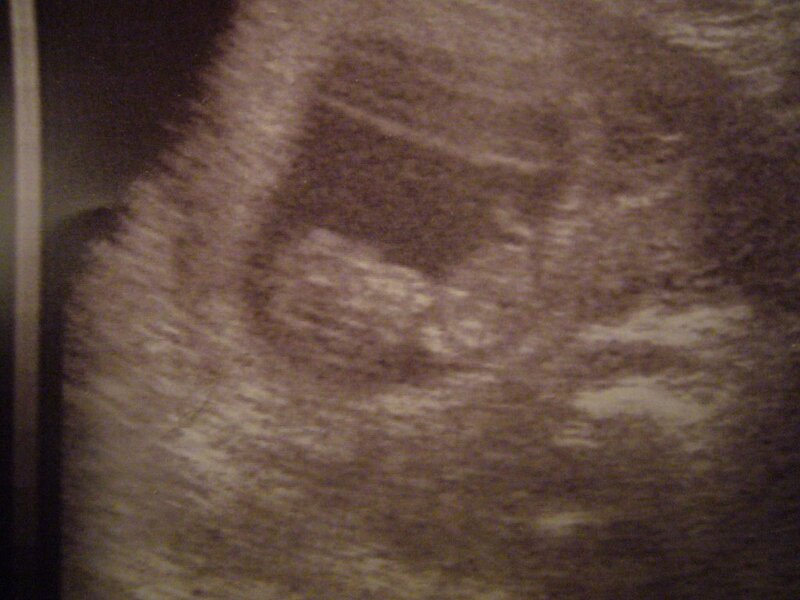 If a blastocyst resulting from SCNT were placed in the uterus of a foster mother instead of remaining in a petrie [sic] dish, it is theoretically possible that it might undergo embryonic and fetal development leading to the birth of a genetic clone of the donor of the cell nucleus used in the procedure. This is reproductive cloning, and no legitimate biomedical scientist would countenance attempting such an inappropriate act with human cells. Scientists around the world have deplored any suggestion of using SCNT to clone people. Theoretically possible? It has already been done. True, it has been with animals, but it is no less possible with humans. Humans are simply more biologically complicated than many of the animals we have cloned, which has impeded our ability to clone ourselves to date. But Neaves acts as if the possibility is science fiction, and he is only considering the logical possibility of it. Neaves uses the same ploy many others do when he tries to distinguish cloning a human for the purposes of birth from cloning a human for purposes of destructive research by calling the former “reproductive cloning” (contrasted to “therapeutic cloning”). The biological fact of the matter is that all cloning is reproductive in nature. The act of cloning is completed upon a successful nuclear transfer that is then stimulated to fuse and begin growing. While scientists may intend for some clones for one purpose and other clones for a different purpose, and employ terminology to distinguish the two purposes, it is wrong to portray the difference in terminology to indicate a difference in ontology. That distinction is pure fiction, and those who perpetuate it ought to be ashamed of themselves. Even his illustrated graph is deceptive. While I cannot reproduce it here, I would recommend that you access it at the link above. He shows how the early development of the “product” (he leaves it unnamed in the graph) created by fertilization, and the early development of an product created by cloning are the same. But then he says of the fertilized product: “If blastocyst is implanted into a uterus, embryonic development begins.” Of the cloned product he says: “If inner cell mass is placed in culture these cells will multiply to produce stem cells that can replace damaged cells in the body.” Both claims are false. Regarding the first, being inside a uterus does not begin embryonic development. Embryonic development begins at the creation of the embryo. While embryonic development will eventually stop if the embryo is not placed in a uterus (because it will die), being placed in a uterus does not instantiate embryonic development. Regarding the second, the inner cell mass consists of stem cells—it does not create them. Culturing these stem cells will result in their further multiplication, but they existed prior to the culturing. <!–[endif]–> <!–[if !supportFootnotes]–><!–[endif]–>William B. Neaves, PhD, “Stem Cells from Somatic Cell Nuclear Transfer: Research to Unlock the Body’s Potential for Self-Repair” in Missouri Medicine, Jan-Feb 2005, Vol. 102, No. 1; available from http://www.stowers-institute.org/MediaCenter/docs/NeavesSomaticCellFeature.pdf; Internet; accessed 19 July 2006. <!–[endif]–>Patrick Lee and Robert George, “Reason, Science, and Stem Cells”; available from http://www.nationalreview.com/comment/comment-george072001.shtml; Internet, accessed 30 September 2004. <!–[if !supportFootnotes]–><!–[endif]–>Diane Irving, “When Do Human Beings Begin? : ‘Scientific’ Myths and Scientific Facts”; available from http://www.all.org/abac/dni003.htm; Internet; accessed 09 February 2005. The National Institutes of Health defines “inner cell mass” as follows: “the cluster of cells inside the blastocyst. These cells give rise to the embryo and ultimately the fetus.” This is false. The inner cell mass consists of embryonic stem cells. These cells do not “give rise to the embryo.” It is the other way around. The embryo gives rise to these cells. The embryo exists prior to the existence of the inner cell mass. These stem cells simply continue forming what came into existence several days earlier: a new human individual. It’s better to say it the way the NIH said it, however, because it makes people think the stem cells are being extracted from something that is not a human embryo. The same could be said of every human being! Every human being is composed of genes from persons conceived years earlier. Would anyone say the new baby, therefore, is not a new life? Of course not! Where have I been? From bombarding you with posts to absolute silence for three weeks! Well, a lot has been going on, not the least of which is pictured below. I have been taking care of my wife, which hasn’t left much time for blogging…or much of anything intellectual for that matter. The only thing I have been studying is what might help morning sickness, what stroller is the best, what crib I want to buy, etc. I’ve also been interviewing for a new job (which has been offered to me) and looking into a new place to live. So other than a new baby, a new job, and a new home, my life is pretty much the same!! I hope to respond to the comments on the last string next week, and then resume with some new posts whenever I find a little time.